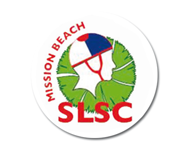 The Mission Beach Surf Club is located in South Mission Beach. The beach is patrolled on Sundays and public holidays from April until November. Easter and Christmas holidays are also patrolled. We operate a marine stinger resistant enclosure during the jellyfish season. Our Club House café ‘Tuskers’ is open on Friday, Saturday and Sundays from 12pm until 8pm. Our prices are the cheapest in town so come in and enjoy a beer! We have regular meat tray raffles and you can become a ‘social member’ of the club to receive great discounts at Tuskers.